Whether you're going from Orléans to Barrhaven or downtown Ottawa to Gatineau, OC Transpo can take you. We provide comprehensive transit services to nearly one million people in Ottawa. The OC Transpo fleet has over 900 buses and six trains serving our nearly 340,000 daily riders. OC Transpo's mandate is to deliver safe, reliable, and courteous service at a reasonable price. Transit reduces greenhouse gas emissions and traffic levels on our roads. The Transitway is a dedicated system that runs from one end of Ottawa to the other, and is open only to OC Transpo and emergency vehicles. Since public vehicles are forbidden access to the Transitway it is unaffected by regular traffic delays. This means quick, comfortable, and easy travel, no matter what time of day! 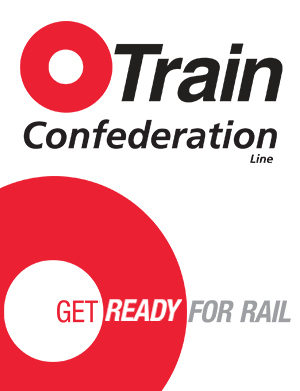 Ottawa's five O-Train stations are fully integrated with OC Transpo's bus service, creating seamless travel between rail and regular commuter systems. Proof of payment is interchangeable: moving from train to bus, and vice versa, is simple and hassle-free. Park and Ride is a program that allows commuters to escape the stress of traffic and save on gas by taking the bus. It's simple: drive to the Park & Ride lot nearest your point of departure, park your car in one of the designated spots provided, and catch the next bus at the station located beside the parking lot. Conventional OC Transpo buses are an option for people with mobility impairments - 100% of the OC Transpo fleet is now accessible. For those whose situation prevents them from being able to use OC Transpo's accessible buses, there is Para Transpo. Serving both urban and rural Ottawa, Para Transpo is a door-to-door transportation service for people with disabilities. Run by the City of Ottawa, OC Transpo is headed by the General Manager of the Transportation Services Department, John Manconi. The Transit Commission meets monthly, and City Council meets bi-monthly and develop policies and service upgrades to better serve the city. As a public enterprise serving the citizens of Ottawa, all meetings are open to the public and all decisions are open to public scrutiny before approval. The annual service plan is prepared in consultation with the public, employers, school boards, community groups, associations, and transit employees. If you feel harassed let OC Transpo know by calling Transecure or submitting an anonymous online report. How Will I Get To It? Bus, bike, walk or ride to the Confederation Line.